We hear it all the time. We shouldn’t take things for granted. And we always do no matter how many times we’re told. We take for granted our friends, our family and our health. Its human nature. So its no surprise that Knicks fans are going to take this season for granted. or they thought the Knicks would be the same old Knicks by failing to live up to the expectations when Carmelo Anthony was traded here from Denver. Eight months later, the Knicks have a division title (their first since 1994), a scoring champion in Carmelo, a playoff series win and they took a very good Indiana Pacers team to 6 games. While winning an NBA title is the ultimate goal, there’s no reason this season can’t be looked at as a success. You’re going to hear fans talk about how to blow up the team, who to trade and who to keep. The worst thing the Knicks front office can do right now is panic. The window of opportunity is a lot wider than we think. Despite the age of most of the key contributors, the Knicks are anchored by players in their prime. Going forward the Knicks will likely lose Kurt Thomas, Rasheed Wallace and Marcus Camby. Jason kidd is a physical anomaly and Pablo Prigioni hasn’t made his intentions public. 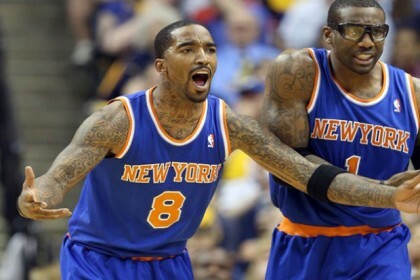 JR Smith and his player option are probably the biggest question marks going into the offseason. While I’m sure he’s able to get a good contract somewhere else, I also believe he wants to remain a Knick. He’s a local guy that grew up in New Jersey and he’s massively popular here. I think the best move for him would be to exercise the option, and play better than he did in the playoffs, particularly after Game 3 of the first round against the Celtics. I expect Chris Copleland to improve his game, especially defensively and Iman Shumpert’s progression will be something to look at, as he’ll be at 100% after his ACL injury. With their first round pick, the Knicks need to address their need in the front court. Kansas’ Jeff Withey is the guy most mock drafts have going to the Knicks. He’s more of a half court player and he’s not very quick or athletic but he’s got the skills to contribute in the league. They should also take a look at guys like Mason Plumlee, Gorgui Dieng, and Rudy Gorbert from France. Drafting a guard would also be a smart move. They showed at times that they needed another scoring option, especially against good defensive teams like Indiana. At any point in the past decade, if you told any Knick fan that the team would win 50+ games, the division title and a playoff series, they’d have signed up for it immediately. Why is it that some people would consider this season a disappointment? Last week, when the Golden State Warriors were knocked out of the playoffs by the Spurs, the Warriors team came back onto the court to thank the fans. Their fans were proud and applauded the team for their effort and we should be doing the same for the Knicks. We shouldn’t take what they did for granted. Because, as we’ve seen from the past 10 years, we don’t know when we’ll see them be this great again. The Queens native handles all things football on KeepingItRealSports.com. Stan attended Holy Cross High School in Flushing, Queens and SUNY Old Westbury. He's spent his post graduate career in different parts of the media, as an editorial assistant, a production assistant and a board operator. 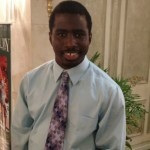 He can be followed on twitter @FunnyManStan and routinely performs standup comedy all over New York City. 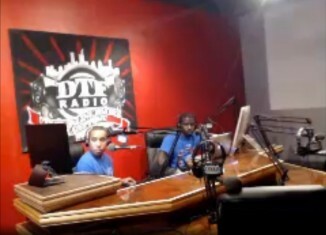 Check out the full replay of the latest episode of the KIRS Radio Show on DTF Radio in Brooklyn, NY. This episode featured discussions on Johnny Manziel's Browns debut and the pro basketball hall of fame inductees. Enjoy episode #44 from Brooklyn, NY! Enjoy episode #43 from Brooklyn, NY! Aside from winning their fifth NBA championship this year, the San Antonion Spurs are making another mark in NBA history. 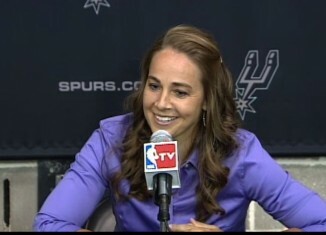 The organization took a stride in breaking a gender barrier this week by hiring Becky Hammon, of the WNBA San Antonio Stars, as their new assistant coach.